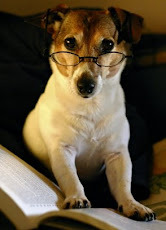 The next "Conversations with Animal Authors" teleconference will feature Intuitive Bethanne Elion, who will discuss her recently published book, Memoirs of the Bathtub Psychic: The True Story of a Clairvoyant and Her Dogs, on Monday, November 30th, 2009 at 8:00pm (EDT). The call is free and all are invited to participate. Bethanne Elion has been deeply involved in animal communication and holistic healing for many years. She works as a nutrition consultant for private clients and for Volhard Nutrition, makers of natural diet and other whole health balancing products for dogs. Bethanne has lived in Vermont since 1999, sharing her life with her beloved Newfoundlands, her Yellow Lab, and many feline friends. Memoirs of the Bathtub Psychic is her first book. 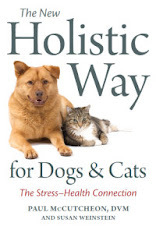 As a truly gifted animal intuitive with an indepth knowledge of homeopathy and nutrition, Bethanne brings an important and often unconventional perspective to the subject of how we can best care for our creature companions. Whether you're an animal lover, a would-be animal communicator, or just interested in learning how to protect and enhance your dog's health and longevity, you won't want to miss this opportunity to talk with her. You can participate in this month's "Conversations with Animal Authors" teleconference by dialing 616-347-8100 and entering PIN #1063739. Long-distance charges may apply. If you can't join us live, a recording of the interview will be posted here within a few days after the event. Nicole Wilde wants to empower you, by helping you to discover the energy flowing through your own hands. It's not magic, but many of us may feel intimidated at the idea that we can actually send energy to another being--human or animal--falsely believing that the ability to do so is owned by a privileged few natural-born healers. All living beings are made up of energy, and are surrounded by an electromagnetic field--sometimes called an aura--which vibrates at a certain frequency. When we--or our animals--are sick, or frightened, or angry, our energy field can contract, or mutate, or become murky, and that's when problems can ensue. So when we adopt a shelter dog who has been displaced from the only family it ever knew, and then been caged and bombarded by the sounds and smells of other fearful, barking dogs, it's no wonder that he may display behavioral problems. Until his energy field has been cleared and calmed, he may come across as sullen or unpredictable or just downright depressed. For anyone who has faced these situations, Nicole's book is a godsend. 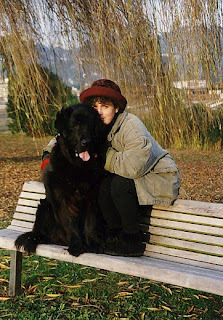 She shows us how we can affect our dogs' health and happiness in ways we may never have imagined possible. She coaches would-be canine healers to let go of their expectations, hold an intention of the highest good for their dogs, and then to just let energy flow. We don't have to push it or pull it or make it go. We just have to let it happen. 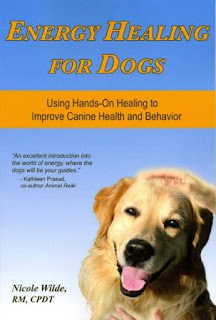 There are terrific chapters on clearing a dog's energy field, using a technique similar to one known as "Magnetic Clearing" in Healing Touch for Animals, and on drawing pain and inflammation out of a dog's body by visualizing your palm as a strong magnet. And there are some very cool "Do-It-Yourself Energy Experiments" you can try if you remain skeptical. I loved Nicole's way of presenting a potentially complex topic with ease and simplicity. If you share your life with dogs, you'll want to read Energy Healing for Dogs and incorporate its techniques into your personal toolkit.